The first two seasons of the anime series first aired in Filipino dubbing on sister channel YeY! last year. Philippine terrestrial broadcaster ABS-CBN has announced on Sunday that the popular anime series My Hero Academia will air on the channel next month. The anime series will start on April 7, which airs every Sunday morning at 09:15am, replacing One Punch Man on its timeslot. The anime will air nationwide through free TV on ABS-CBN, and in high-definition on ABS-CBN HD. The first two seasons of popular anime series made its premiere for the first time in Filipino dubbing through ABS-CBN’s digital terrestrial channel YeY in May last year, which was re-aired last November. BREAKING: Anime' fans rejoice! 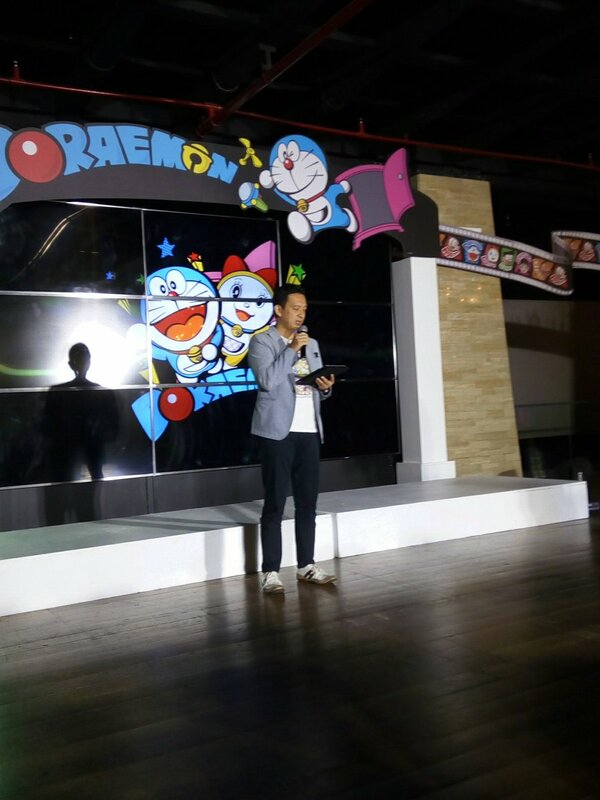 Doraemon is now a Kapamilya as announced by Animation International (AI) Ltd. General Manager Tim Kondo here at the AI Doraemon trade event! I didn't watch it last Sunday dahil tanghali ako nagising, so hindi ko alam kung anong episode ang pinalabas nila. The last episode was aired on March 24, 2019. If anyone watched the March 31, 2019 episode of One Punch Man on ABS, please inform me kung anong episode ang ipinalabas. The first teaser trailer for "Tenki no Ko: Weathering With You" ("Weather Child: Weathering With You"), a new animated movie from the director of "Kimi no Na wa" ("your name"), has been released. The video provides a glimpse of the two main characters -- Hodaka, a high school student who finds a job in Tokyo as a writer for an occult magazine, and Hina, a girl who has the power to manipulate weather. They meet during a time when the city is experiencing rain nonstop. The clip also previews a new song from Japanese band Radwimps, who provided the official soundtrack for "Kimi no Na wa." "Tenki no Ko: Weathering With You" is set to premiere in Japan in July. There are plans to release it in Asia, North America, Europe, and South America, according to a Japanese report back in December. It is from Makoto Shinkai, who directed "Kimi no Na wa." The body-swap romance became the highest-grossing animated movie in the Philippines back when it was released in December 2016.